The highlight of Uma Spa is our heated, indoor pool, complete with hydro-massage and water jets, all encased in a glass-paneled sanctuary, offering views of the wild surroundings. It’s not unusual to spot Patagonian wildlife from here either. Our spa circuit incorporates various temperatures and spaces to restore, relax or revitalize, including a pool, steam room, and soothing relaxation spaces. 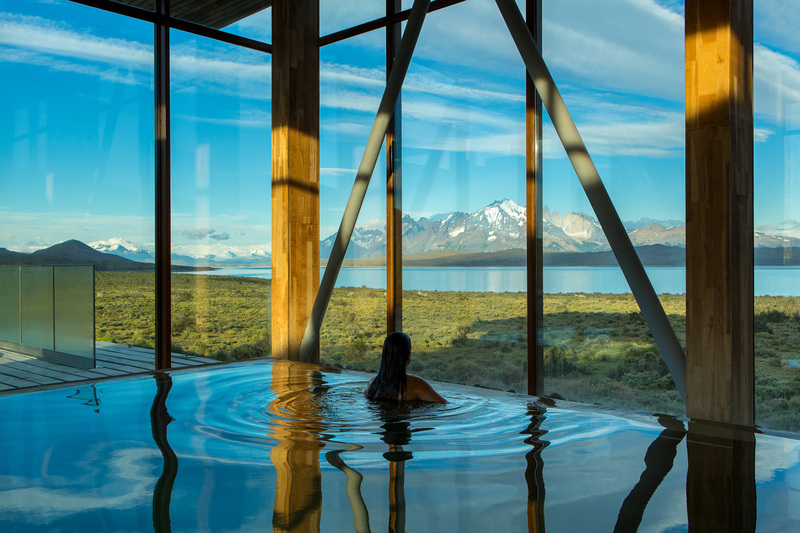 Outside, our open-air whirlpool tub offers the chance to soak in warm waters, while taking in views of Torres Del Paine and perhaps even spotting a guanaco or ñandú which has wandered up to the hotel. Enter a zen-like state in our treatment rooms, with aromatherapy oils, peaceful sounds and soft lighting. 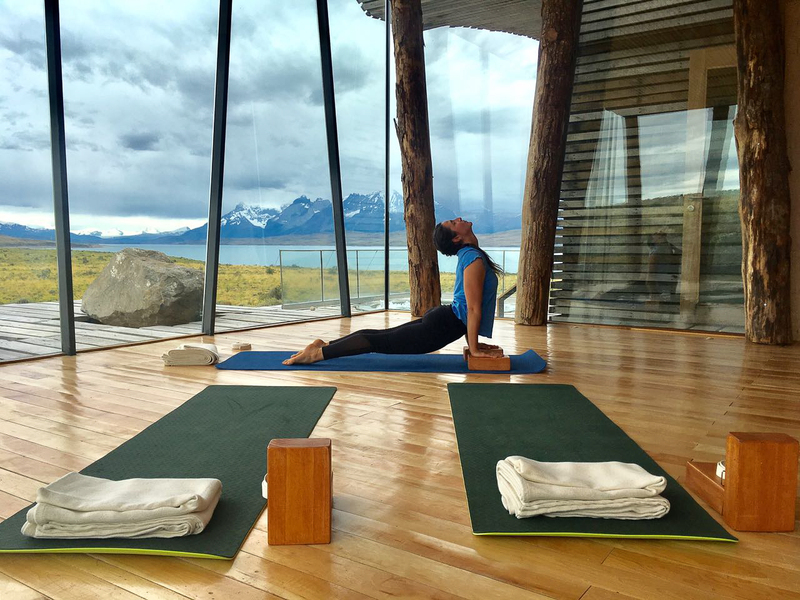 Our wellness space, which includes a yoga studio and separate relaxation rooms for men and women, is clad in warm, locally sourced wood and stone, while treatments and therapies use all-natural ingredients. Take your pick from an extensive list of facials, massages, body wraps, scrubs and alternative therapies, designed to open up your ‘prana’, or ‘life force’, promoting positive thoughts and wellbeing.